Which side are you on? This is a novel about spies, lies and unearthing the truth. Summer 1951. The Cold War is at its height. Burgess and Maclean have just disappeared, and the nation is obsessed with the story of their probable defection. Colin Harris, a member of the Communist Party, who has been exiled in Germany for several years, arrives back in England with news: he has fallen in love with a girl in Berlin and plans to return to the UK permanently with his bride-to-be. Then Konrad Ebershardt, a German scientist, living in England for the past two decades, is found dead, and it emerges that Harris was one of the last people to see him alive. What does Harris known about Burgess and Maclean? Was he involved in Ebershardt's murder? And who is this girl in Berlin? 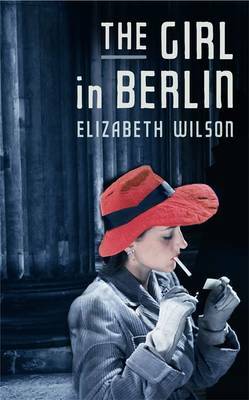 A novel about secrets and spies, about making choices and living with the consequences, "The Girl In Berlin" is a reminder that when nothing is as it seems, no-one can be trusted - even, sometimes, those you think you know best.